NEW RELEASE!!!! Pete Barnhart & David Rose "Falling To Grace"
Pete Barnhart and I are very happy announce our first collaboration on the album "Falling To Grace." The album was entirely recorded at Elemental Studio in Lancaster, PA. The album is available for purchase on the store page of Music of the Winds website and will soon be available on Itunes, CD Baby, and other music sites. Elemental Studio is owned and operated by Pete Barnhart. Pete Barnhart, a native of Lancaster, PA, has had a very illustrious career as a musician. He has been playing music for forty years since the age of three and has performed/toured live since the age of sixteen. Pete has acquired over the years very unique percussion instruments from all over the world and also builds/sells Djembes that are top notch. So feel free to drop a line to Pete about his Djembes; by the way, I'm a proud owner of one of his Djembes. Pete is available to collaborate/produce with anyone on their music project that requires a percussionist. He has worked with an impressive list of musicians over the years and I'm happy that I have had the opportunity to work with Pete on this project, and hopefully many more to come. I noticed from one of his albums that he worked with Steve Howe of Yes/Asia. So of course I have an inquiring mind and wanted to know the story about Pete and Steve. So in Pete's words, "I met Steve Howe as a teenager growing up in the small town of Lititz, Pa. where the band Yes would often rehearse before touring. In '93 I was hired by a friend in the business to drive Steve on two tours, one in '93 and one in '94. In '96 Steve was in the area and and I asked him to record a track on my 1st solo album. He agreed and the results can be heard on my album "No Boundaries". Steve was one of my music heroes and it was an experience of a lifetime...."
In closing, I ask you to please check out the music sample of our album "Falling To Grace" on YouTube or purchase the album. You can go the store page on the website. Thank you and many blessings to you!!!! It's been a while since I posted anything here on my blog. This past year has been super busy for me with all my new music projects. I can see that my website needs to be seriously updated too!!! Not enough time in the day to do everything. That's the down side of being an indie musician. I would love to have a personal assistant to take care my website, bookings, Facebook, and all of my other social media sites. Hmmm maybe I should. So, anyway, here is the latest news, folks. As of this past year I started “Music of the Winds Healing Soundscapes Series”. The first album of the series that I released is called “Ocean Spirits” which features ocean field recordings that I did while vacationing in Rehoboth Beach in Delaware. It took several days to record by getting up at 4 am in the morning and getting the recording gear down to the beach with nobody around. The hard part was to get good recordings of the ocean, So I had to walk out into the water. I had to be careful with waves coming in and protecting the recording equipment from getting soaked with salt water. Plus I had to be able to stand still while holding the boom and not make any noise. Sometimes a wave would push me and I would stumble and that would create noise that the recorder would pick up. Not an easy task. Another problem I had to deal with was cold temperature of the water. After at least an hour of recording in the water I would stiffly make it back to my room at the hotel from field recording. I would check the recordings and I found some of the recordings I really liked were no good because you can hear my teeth chattering in the recording!!! That’s why I hate being in cold water!!! To make a long story short, after several days I was able to capture some great field recordings of the ocean to use for the album “Ocean Spirits.” I’m very proud of this recording and the album is available from Spirit Wind Records and will soon be available from CDbaby, ITunes, and other distribution outlets. I’m looking forward to releasing more albums for this series. 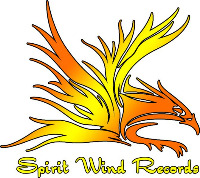 I have been with Spirit Wind Records for nearly a year now as a solo artist and as of April classical guitarist Russell Ferrera signed on with me as a duo. I have been performing and recording with Russell Ferrera who hails from the Philadelphia, PA area for nearly a year now. So we haven’t come up with a group name yet, We are going to wait till after July to come up with a name. Russell and I had a great time at the 2014 Launch Festival and conference event with Donald Blackfox, CEO of Spirit Wind Records, Toni Turcketta, Joseph Strider, and Liz Mallin. I would like to mention that Liz can play a mean fiddle with her group Killmaine Saints, an Irish rock group. Russ and I will be performing at the 2014 World Flute Society Convention from July 16-20, 2014. There is going to be a great line up of musicians performing there. I’ll have a link to the World Flute Society website for you to check out. So now it’s time to overhaul the website and bring it up to date. If only I had personal assistant!!! Oh well. Till next time many blessings to you all. Hello everyone. I want to announce the addition of Joseph Strider to the artist friends page. I had the pleasure of meeting Joseph Strider last year after hearing his latest CD called "String Theory" which is available on CDBABY. I have had the pleasure of playing flute on a song from "String Theory" called "The Path Less Chosen" live at different events. I enjoyed the organic feel of playing without the confines of backing tracks of any kind. Joseph and I are currently working on a recording project of his and I would have to say this is going to be one awesome album!!!! Following is a write up about Joseph that I got from his CDBABY artist site. You can find out more about Joseph Strider by just clicking on his pic which will take you to his CDBABY artist website. You can also find his music on the Spirit Wind Records website. Acoustic guitarist Joseph Strider has spent the years developing his own unique style, a style that fits in no established genre and can best be described as modern Indigenous alternative. As a child he received professional vocal training as a choral singer. As a teen and young adult he gained valuable experience over a six year period of touring in his home state of Texas. In the years since he has refined his unorthodox playing style, determined to fully utilize the potential of the acoustic guitar. Strider’s performances are a like road trip through every terrain there is, the music taking you down roads familiar, roads forgotten and those that are brand new. From complex instrumentals to simpler tunes with poetic yet accessible lyrics, to songs that are a combination of both, Strider’s vast repertoire has something for everyone. Inspired by decades of great guitarists and combining elements reminiscent of Hedges, Cockburn and Segovia, Strider’s live performances leave you jaw-dropping awestruck. His seamless transitions, numerous changes in tempo, and intricate picking style almost convince you that you’re hearing half a dozen guitarists playing and not just a single supremely talented man and his Taylor. I decided to add an artist friends page to the web site and feature artists I'm currently working with or have worked with. I want to start with featuring Pete Barnhart of Elemental Studio. He is a professional percussionist, graphic artist, instructor, producer, recording engineer, mastering engineer, and all around nice guy. He has worked with many local artists and especially with Steve Howe of Yes/Asia. Pete has spent many years on the road playing professionally across the country. Pete has produced and recorded on hundreds of recordings over the years. Pete Barnhart and Ron Kravitz were two of the earliest artists to record the Hang in a work called "Hang Meditations." I want to welcome you all to my new website. I am looking forward to this new journey that I'm embarking on. There have been so many changes in my life these past few weeks and the past few years too. I made a formal announcement of resigning from Painted Raven as of 05/28/2013 and I feel it was time to focus more on my own music and other music projects that have been sitting on the back burner way too long. Having been in Painted Raven for nearly ten years it was time for a change. I only wish the best of luck for Annette with Painted Raven and I think Marsha Harris will be a great asset to Painted Raven. I'm happy to announce the release of my solo CD "Wind Dance Under The Moon" through Spirit Wind Records. I want to thank Donald Blackfox for making this possible for me and for making me a part of the Spirit Wind Records family. I have a whole lot of surprises coming down the pike, especially working with some really great musicians here in PA. I just started getting back into recording solo artists and bands which has been a passion of mine for a good many years. I also started doing workshops in recording, mixing, and other music related subjects. So for now I'll end and please stay tuned as the website continues to evolve. Later!!! !